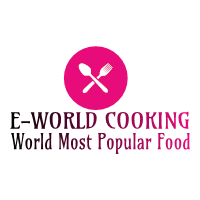 Chicken Bog Recipe ~ E-World Cooking-The World Most Popular Food. Chicken bog is a very authentic name as well as the dish is also authentic, it’s a very tasty and delicious dish .chicken bog is most famous in Horry country. The name bog originated from the wetness of the dish but some say it comes from a place where it is famous. Basically, chicken bog is a combination of chicken & rice, chicken is boiled and add rice then cooked until the liquid is absorbed. Chicken bog is similarly related to chicken pilau or chicken pilaf or chicken perlo. To make this chicken bog, first of all, wash the chicken and cut into small pieces. Take a pan and heat some oil, once the oil is heated fry this chicken pieces with little bit salt. Fries little just boil the chicken pieces then remove the pan and set it aside. Take a large pot to boil the rice. On this pot add rice, water, little bit salt & butter cooks it over medium flame, remember that not fully cooked only boil the rice. Once the rice is boiled removed from the pot and dry it through sieves. Now take a Dutch oven to add fresh butter, first melt the butter then add onion, carrot cook it for 5 minutes then add garlic stir it until fragrant. After that now we add Low sodium chicken broth, garlic powder, black pepper, paprika, Italian seasoning & bay leaves. Cover it and het up on a medium flame for 10 minutes then pour the cooked rice and chicken, again cover it and cook for 20 minutes or until dry the liquid. Our chicken bog is ready. For serving please remove the cover before 5 minutes. Serve it with lemon juice & coriander leaves.